Liczba stron: 78 Jest to ujednolicona liczba stron, która ułatwi Ci porównanie długości książek. Każda strona Legimi to 200 słów. Cilla Black passed away on the 1st August 2015. She was England's favorite show business personality for over fifty years winning the hearts of many generations of fans and to many, she will always be the girl next door. Sussan is a channeler, a gifted psychic medium who can make contact beyond the illusion of the finality of death to the one we know as Cilla. The book is not a biography of her life but a chat about the emotions of her success, religious beliefs, friends and her meteoric rise to stardom. 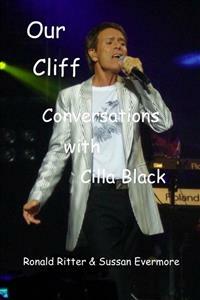 She talks in depth about her friendship to Cliff Richard and his private world, describing him as 'a gift of love.' To understand her friend Cliff, we also made contact with his sister Donna Goulden who passed away in April 2016. I asked Cilla to tell us about her husband Bobby who died in 1999, she did but also said we could speak to him ourselves, so we did. You will fall in love, all over again with Cilla and her wonderful insights and understanding of Cliff Richard, one of her closest friends. Cilla told us that some of our questions had never been asked of her before, so you're in for a treat. Cilla Black passed away on the 1st August 2015. She was England's favorite show business personality for over fifty years winning the hearts of many generations of fans and to many, she will always be the girl next door. Sussan is a channeler, a gifted psychic medium who can make contact beyond the illusion of the finality of death to the one we know as Cilla. The book is not a biography of her life but a chat about the emotions of her success, religious beliefs, friends and her meteoric rise to stardom. To understand her friend Cliff, we also made contact with his sister Donna Goulden who passed away in April 2016. I asked Cilla to tell us about her husband Bobby who died in 1999, she did but also said we could speak to him ourselves, so we did. You will fall in love, all over again with Cilla and her wonderful insights and understanding of Cliff Richard, one of her closest friends. Cilla told us that some of our questions had never been asked of her before, so you're in for a treat. On a warm summer's evening in Italy, Sussan asked if Cilla Black would speak to us. We had the prompting that it was possible she would. We are not English so had little knowledge of her life beyond a handful of songs as she was a bit before our time. However, she did say at the end of the session that no one has ever publicly asked about her own religious truths as I have done. So please join us as we talk with Cilla as she chats about her friendship with Cliff Richard, whom she describes as 'a gift of love to humanity' and then gives us an in-depth understanding of his world. Besides endearing us to Cliff Richard, I found Cilla a gift of love herself as she talks for the first time about her religious beliefs. The sessions changed my ideas in a positive way about the relevance of organized religion such as Catholicism in people's lives. So let's begin. Sussan asks lovingly for Cilla to speak to us. Cilla connects: Of course I will speak to you, thank you, this is exciting. I feel like I am still performing. Ron asks Cilla: Tell us about Cilla? Cilla answers: My life was very full and well beyond my wildest expectations. Did I have any idea I would reach such heights in my singing career? No, but there was nothing to go back too, so I tried hard to get myself as far as I could. It has to be the hardest gig in life to be an entertainer because we are always trying to please someone. Well I was. I wanted to please my fans and of course, my manager. But when Bobby took over as my manager it was easy to please him, I loved him. There was always the feeling that I would reach a point where I wouldn't be able to please the fans anymore. That didn't happen, they loved me and I loved them, I never forgot their support. But there is also a point for every entertainer with a fear of old age, not being wanted or deteriorating health puts an end to what we love doing the most. Everyone knows if the bookings stop, we are quickly forgotten. Our voices deteriorate over time, it's natural and then the song writers don't give us the songs anymore. For many it's death without an actual death. Fortunately for me, I went onto other areas of entertainment and made enough money, so I never looked back. Ron asks Cilla: Your death was seen as an accident by some and accidental suicide by others when you fell and hit your head. Can you tell us about it? Cilla answers: Of course my death was an accident. The only time an accident is not an accident is when we expect it and I certainly did not expect this one. I would have stayed working in a reduced way if I had the extra time. I loved the interaction with people and relished being a compere. Naturally I loved to sing whenever the invitation came my way. Ron asks Cilla. Did you feel you died too young? Cilla answers: That's a funny question, because any time we die is too young! I would have gone on longer if it hadn't been for the accident that day. I had a prompting not to go outside but I ignored the warning, it wasn't the first time I hadn't listened to the little voice inside of me. Ron asks Cilla: Can you tell us about Bobby? Cilla answers: Bobby was just the best, straight up and down, calling it as he saw it, that's how I would describe him. But I will mention, he didn't like my early manager. Brian was always trying to side-step Bobby by telling me I didn't need him. Bobby was the only one who really looked after me. The others would have used me for the money until the next so-called star came along.